A bill sponsored by Assemblymember Jim Cooper (D - Elk Grove) that gives California city's more flexibility in how council member are elected was signed into law by Gov. Jerry Brown today. Assembly Bill 2220 would allow a city with a population over 100,000 that elect its city council members at-large to convert to a district-based election method by ordinance. “AB 2220 will ensure fair representation by giving minority communities the opportunity to elect candidates of their choice while affording them the power to influence local elections,” Cooper said. Under current law, a jurisdiction with populations less than 100,000 may switch to district-based elections without voter approval. However, jurisdictions with populations over 100,000 may only convert to district-based elections if the governing body places the question on the ballot for voter approval at a high cost to taxpayers. 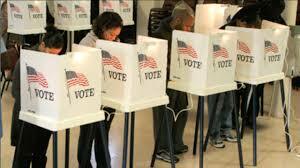 Since the enactment of the California Voting Rights Act in 2001, over 130 jurisdictions throughout California have converted to district-based elections. AB 2220 will further the purpose of the California Voting Rights Act and is co-sponsored by the Mexican American Legal Defense and Education Fund (MALDEF) and the League of California Cities. Elk Grove has retained a from-district with outgoing Mayor Gary Davis having expressed a willingness to convert to a by-district representation. Conversely Vice Mayor Steve Ly and Councilmen Steve Detrick and Darren Suen have expressed hostility to converting to by-district representation if favor of maintaining the status quo. The bill will take effect on January 1, 2016.